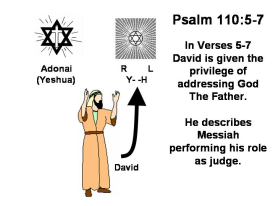 Psalms 108-110 are attributed to David. The usual ‘god is great’ zzzzzz stuff, but I noticed that verses 6-13 are almost identical to #60: 5-12. It was the verse about the washpot that tipped me off to the similarity. Either David is repeating himself, or there are multiple versions of these psalms. This one is in a category all by itself, because quotations from it, used politically, qualify as genuine hate speech. Make sure to read the whole thing. David’s really on a rampage here; it’s his usual pleas for vengeance but with more graphic NSFW descriptions of exactly what he would like to see happen to his enemies. Bet you’ve never heard this psalm read in church! This article notes that many Catholic and mainline Protestant theologians recommend that it not be used in public worship. But that doesn’t deter the redneck fundies. Bumper stickers featuring references to verse 8 were yanked from online sales because of the implied threat of violence. Well that’s one way to phrase it! Well it couldn’t get much worse than the previous psalm, but it’s no better, either. “He will punish the nations and fill their lands with corpses; he will shatter heads over the whole earth.” (v 6) Tell me again why David is such a common name for boys? Because he set such a good example? Because he’s a role model? A hero? How about more like a narcissistic megalomaniac? The next bunch of psalms are anonymous. This is the usual exaggerated ‘god is merciful’ schmaltz, written in acrostic style, with predictable falsehoods, like “He gives food to those who fear him” (v 5), and “All he does is just and good, and all his commandments are trustworthy.” (v 7) And how about that last line “The fear of the LORD is the beginning of wisdom”? Another acrostic with the same sentiment about fear expressed in the first verse “Blessed is the man that feareth the Lord”. The gist of the entire psalm is that those who obey god will live in Utopia, or Camelot, or somewhere like that. It’s unbelievable schlock for the gullible. Interesting! The words aren’t familiar to me, but as soon as I started reading them, I figured there was a song somewhere – all the ‘nice’ psalms are made into hymns or psalms. A YouTube search did turn up several, but a number of them were uploaded by Jews, which I haven’t found before in previous searches (ie most uploads are from Christians/ church choirs). I have to wonder why – Psalms are from the OT, so don’t Jews sing them? Or do they just not commonly upload them to YouTube? And is there anything special about this psalm – like is it part of a Jewish service or something? This is kind of cute – to me it sounds like a children’s version of the Passover story. Like it should be a children’s song. 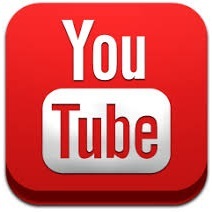 Back to YouTube. There’s a sermon on this psalm from a rabbi, and choral versions of it from Mozart, Mendelssohn and Kodaly, as well as several modern arrangements, and there’s even one in Arabic from the Children’s Choir of Beirut, but almost all of the musical versions were uploaded by Christians near as I can tell. I’m sharing this one because it looks to my uneducated eye like it might be Hebrew.